Get Your Driveway Resurfaced and Cut The Cost Of a New Driveway! Concrete resurfacing is designed to be applied over existing concrete and to create a new concrete look without removing the complete concrete slab. 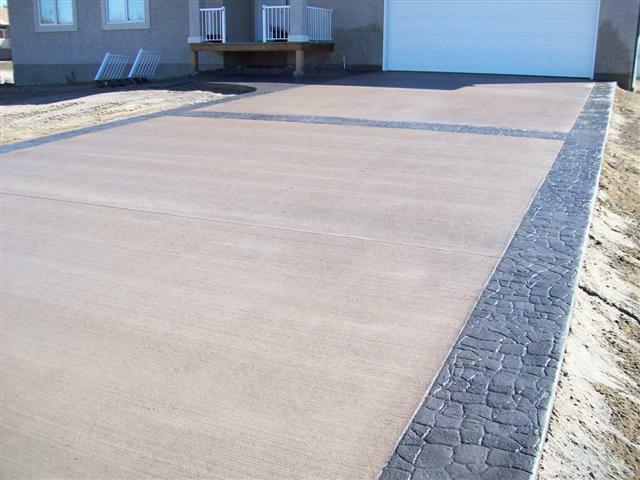 Our concrete driveway repair products can go over many surfaces, such as pool decks and driveways without any concrete demolition. Driveways and other large concrete areas can show signs of wear and tear or they can have many cosmetic imperfections such as cracks, pits, and oil stains. Resurfacing overlays and sealers can protect the concrete and increase the longevity of the concrete. Concrete overlays or skim-coats can be textured and colored to give a decorative feel or decrease slip-and-falls by creating a non-slip surface. Concrete demolition can be noisy and may disturb surrounding areas. Concrete texturing can be done with minimal noise and can be applied in sensitive areas such as gardens, backyards and near decorative walls. If you would like your old and unsightly concrete to look fresh and new again without heavy equipment, resurfacing should be the option for your next concrete restoration project. 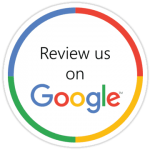 Once our concrete restoration products are applied to the surface, they will fill concrete imperfections such as cracks, divots, holes, and flaking areas. The key to longevity and long-time durability with any concrete resurfacing application is the initial concrete surface preparation. Many driveways will require heavy duty pressure washing to remove any loose particles and dirt on the concrete. In addition to pressure washing, environmentally friendly concrete cleaners and etchers help aid in the removal of heavily soiled areas on the concrete, like oil stains and deep soil discolorations. Leveling The Driveway Is Important! Any uneven or unlevel concrete will be ground down using mechanical machines to rapidly remove high spots. In the event that the concrete texture is too aggressive and has large exposed aggregates or rocks, then concrete grinding can be used to smooth the surface prior to the concrete resurfacing process. 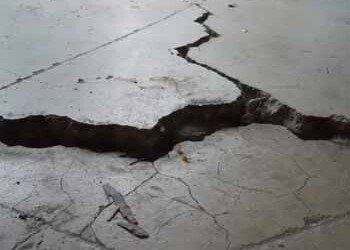 In order to achieve a concrete driveway crack repair, the crack must be opened using crack chaser saws and grinders to remove loose or chipped concrete from the cracked areas. Severe cracked concrete slabs can be pulled together using concrete metal staples, which can help relieve the stress on the slab and create a stable surface for our concrete overlay system. Cracks are then filled using epoxy crack injection methods with sand additives to form stronger bonds than concrete based fill materials. This is the best way to repair cracks in concrete driveways. The cracks are overfilled with the epoxy or concrete filled materials, and then the areas are smoothed to give a smooth finish prior to the concrete resurfacing overlay system installation. This crack repair method works great for many different areas including driveways, pool decks, patios, and garage floors. When comparing the cost of concrete resurfacing to a complete demolition and removal of a concrete driveway, the cost and benefits of concrete resurfacing outweigh the standard concrete replacement process. Whether you are the do-it-yourselfer, home builder, general contractor, or commercial business owner, concrete repairs using a concrete overlay and resurfacing system will add value and purpose to unsightly and ugly concrete. If you need a new driveway we can prep the ground so your new driveway does not sink and crack. Give it a perfect form and give a custom look to enhance your home or business.